In February our two major indices, the WWI and Fab50, continued to climb. We also observed price increases for the most traded Port Ellen and Rosebank bottlings. Here it is, the Whiskystats Price Update for February 2018! In February we added 5.453 price observations to our whisky database which affected 3.075 bottles. On average 309 Euros per bottle were paid which is the lowest value since June 2017. This doesn’t mean that the prices fell in general as a look at our Whiskystats Whisky Index (WWI) shows. Describing the historic value development of the currently 300 most traded single malt whiskies we saw the WWI standing at a constant level of around 345 index points from May to December 2017. Now, in 2018, it started to move again. In January 2018 the value of the 300 included bottles climbed by more than 5%. The latest price observations of February 2018 saw the value of this virtual collection rise by another 3%. Similar is true for our Fab50 index. For these handselected collection of 50 single malt legends we use a six-month moving-average index. This index now broke through the 300 points threshold for the first time ever. Leaving aside the monthly averaging, the current total worth of these 50 bottles is 93.500 Euros! Surprise, surprise! The Macallan index climbed yet again by 2,5% giving the Grand Macallan price rally no break at all! But not everything is Macallan. In February 2018 the 100 most traded Port Ellen bottlings gained 2,6% in value too! The also silent Rosebank distillery reached a new all-time index peak with almost 250 index point. Rosebank thereby overtook Bowmore in our distillery ranking to now take the 12th place. Also on the way up is Glenury Royal. For Glenury Royal we can only use 31 bottlings to form the distillery index. For this 31 bottlings we find 584 price observations. Since January 2017 our Glenury Royal index went up by more than 12%. In February 2018 alone we observed an 2% increase in value. The most traded whisky of February 2018 was the Yamazaki 18yo Single Malt with 34 observed trades. These prices averaged to 381 Euros. In total we now count 487 trades for this 18 years-old Yamazaki bottling. The earliest observations come from January 2009 were one of this bottles was sold for 79 Euros. Also very frequently traded is the Highland Park Ingvar. In February 2018 alone we observed 22 trades. It was exactly two years ago, in February 2016, when we observed this whisky on auctions for the first time. There it was sold for 256 Euros. Nowadays it seems like prices settled in at around 120 Euros. Also check the latest change in value of your personal collections! 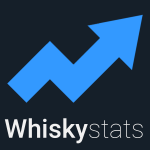 Blended whiskies like Hibiki, Compass Box and Johnnie Walker are now tracked by Whiskystats. The secondary market for these brands is growing strongly too. Here is our introduction of blends! In November 2017 we observed even more trades then in October. The 18yo Macallan 2017 release and the Highland Park Dragon Legend are the most traded single malts. Our Islay index stopped its downward movement for now. This topic contains 0 replies, has 1 voice, and was last updated by Whiskystats 1 year, 1 month ago.